Carbohydrates are the body’s favorite energy source and make up one of the three macronutrient groups. As the name suggests, these bio-molecules contain carbon, oxygen and hydrogen atoms. Whole grains, potatoes, breads, pastas, fruits and vegetables are common carbohydrates that are staples across the world. Although in recent times, carbohydrates have earned themselves a bad reputation among weight watchers who have taken to many trendy low-carb diets, they are actually an important part of the diet. It is also very difficult to completely eliminate carbohydrates from the diet as all fresh fruits and vegetables have varying amounts of carbohydrates. Apart from just providing energy, carbohydrate-rich foods provide the body with fiber, which is needed for a healthy digestive system. And if you can separate the good carbohydrates from the unhealthy kinds, you get the added benefits of many other nutrients. Carbohydrates are essentially long chains of sugar molecules that are linked together. Some strands are short and consist of only a few molecules, other strands are very long and can contain thousands of molecules. To pass into the bloodstream, the molecules must be very small. So the digestive system breaks down the carbohydrates into smaller individual sugar elements. Small sugar strands are easily digested by the system and broken down into their individual sugar components and hence are known as simple carbohydrates while complex carbohydrates are longer chains that take a longer time to be digested. Just as cars need gas to run, your body requires fuel to help it work and carry out all the activities. To put it simply: Carbohydrates provide fuel for the body to run. The fuel is required for the central nervous as well as the working muscles. The body uses carbohydrates from the food we eat to make glucose which is the main source of energy for the body. Carbohydrates aid the metabolism of fats and prevent proteins from being used as a fuel source. Apart from being a quick energy source, carbohydrates are also known to influence memory and mood and are crucial for brain functions. The RDA (recommended dietary allowance) of carbohydrates is calculated based on the amount required by the brain to function properly. Carbohydrates have always formed a bulk of our diet. 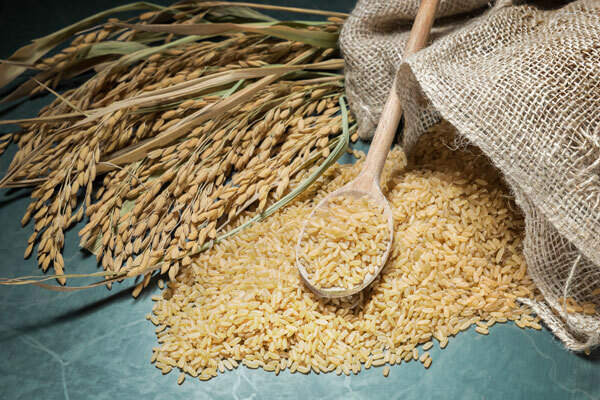 A majority of staple food products across cultures are rich carbohydrate sources. 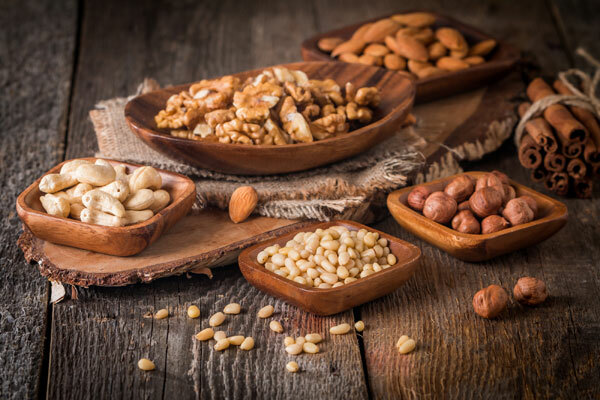 Whole grains, flour, fresh and dry fruits, vegetables, tubers, breads, seeds, nuts and even milk, they all contain carbohydrates in varying amounts and different forms – sugar, starch or fiber. Let us now look at why carbohydrates have always been such an important part of our diet, and why they will continue to be indispensable in the future. Fresh, unprocessed vegetables, fruits and berries are good sources of carbohydrates. 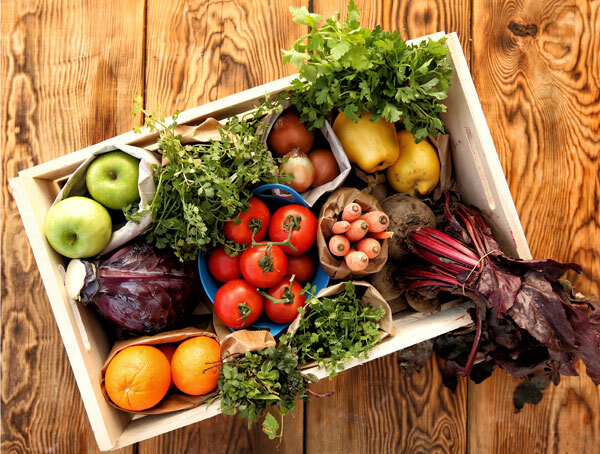 Unprocessed fruits and vegetables also contain a range of very healthy nutrients. So when carbs are consumed in the form of fruits and vegetables, the body also reaps the benefits of their inherent nutrients. 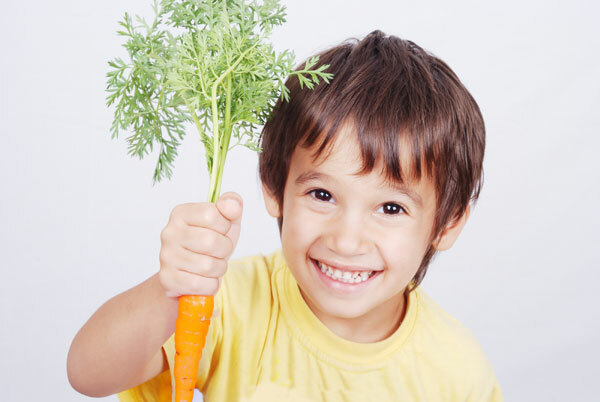 For instance, green leafy vegetables bring with them the benefits of beta-carotene, iron, calcium as well as proteins. Tubers like sweet potatoes pitch in with Vitamin B6, potassium and sodium. 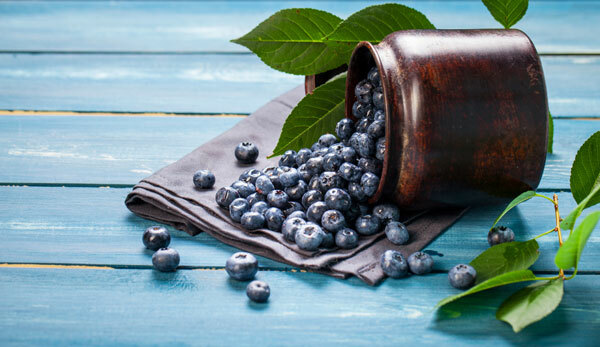 Berries provide the body with antioxidants, manganese and Vitamin C along with carbohydrates. Whole grains are another great source of complex carbohydrates and healthy nutrients. They are rich in fiber, polyunsaturated fats and other micronutrients. Whole grains like fruits and vegetables, also contain antioxidants. Fiber, a form of carbohydrate, can be your heart’s best friend. Fiber can be soluble or it can be insoluble. Fiber-rich foods have both the kinds. Apart from keeping your bowel movements smooth, fiber is known to lower bad cholesterol. High blood pressure is unhealthy as it can put a strain on the heart and its arteries and cause a stroke or even a heart attack. A fiber-rich diet lowers blood pressure and reduces heart attack risks. Foods such as fruits, seeds, dried beans, nuts, peas, oat bran and oatmeal are rich in soluble fiber that form a gel-like substance when it dissolves in water and helps to lower the levels of glucose and cholesterol in the blood. Though experts have not figured out the exact mechanism, they believe that soluble fiber is capable of binding with the particles of cholesterol in the digestive system and push them out of the body before they can be absorbed. Foods such as brown rice, wheat bran, whole wheat cereal and bread, many vegetables, etc. are high in insoluble fiber that helps to move the food through the digestive system and also adds bulk to the stool. Fiber is a very vital component of balanced, healthy nutrition and the Center for Disease Control and Prevention recommends that you consume at least 14 grams of fiber for every 1,000 calories that you consume. As we know, the body needs the energy to carry out all the activities and it is carbohydrates that provide your body energy for metabolism. This is probably the reason why dieticians recommend that carbohydrates must contribute to more than half of the calories we consume. Some of the carbohydrates that the body gets are used for cellular functions immediately, while the excess carbohydrates are stored in the liver in the form of glycogen. Some of the carbs are converted into fat and stored in the fat cells. The body delves into these carbohydrate stores whenever required. The immune system in our body has antibodies and proteins that are made up of both carbohydrates as well as proteins. The protein-carbohydrate molecules cannot be created without the presence of carbs. This carbohydrate element instructs the liver to break down the antibody by separating it from the proteins to form the immunoglobulin. Without carbohydrates, the body will use protein as a fuel source and the precious protein which is required for other critical cellular functions, is wasted. The body will have less protein for enzyme production and tissue repair. Carbohydrates allow protein for other vital functions instead of it being utilized as fuel. Carbohydrates are required by our body for synthesis of fat. A compound called oxaloacetic acid that is produced due to the breakdown of carbs is vital to metabolize fats in the body. Without oxaloacetic acid, the fats get converted to ketones that are toxic to the body. The helpful bacteria in our body produce B complex vitamins that are aided by carbohydrates. The carbohydrates digested by the gastrointestinal tract are consumed by the good bacteria, which in turn produce the precious B vitamins that are required for several vital body functions. Lactate, which is a carbohydrate that helps the body to absorb calcium, helps in keeping our bones healthy. When it comes to delicious, flavorful food and a wonderful variety, nothing comes close to that provided by carbohydrates. Carbs not only provide us with more flavors, they come in several varieties too. Carbohydrates are easily digested, especially when they are cooked and give the body the required energy to work. Yet another way that fiber can improve your health is by controlling the glucose or blood sugar level. So how does fiber control blood sugar? Fiber encourages the food to stay in the stomach for longer. As a result, the blood sugar level does not spike too quickly. In fact, you even feel full for longer. Not only does this help in weight management, it also cuts the risk of type-2 diabetes, which is linked to excess weight. Incidentally, people suffering from type-2 diabetes are also twice as likely to suffer a stroke or a heart attack when compared to non-diabetics. Whole grains like oats and barley are good sources of dietary fiber. In order to function properly, the central nervous system (CNS) and the brain need a continuous supply of glucose. Most of the other cells of the body can subsist on other sources of energy temporarily. However, the CNS needs glucose for survival and carbohydrates are the main source of glucose. The red blood cells or the RBC also need glucose to function optimally. Carbohydrates seem to have a love-hate relationship with mental health. While simple carbs are related to a range of mental health-related issues, good carbs are known to be great for mental health. Fluctuations in the blood sugar levels can play a role in mood disturbances and anxiety. Whenever you consume simple carbohydrates, which have a high glycemic index (GI), they get digested easily and your blood sugar spikes. In response, your body produces insulin, which brings down the blood sugar level, causing a blood sugar crash. This sudden drop in blood sugar level can cause fatigue and light-headedness. Some people even report of lapses in concentration and a feeling of panic. Often, this can trigger your “fight-flight” response as well. This could very well start the anxiety cycle. Carbohydrates with high GI can also cause depression. 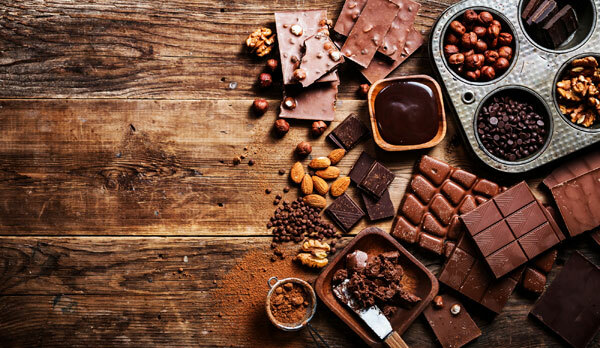 A study, published in the American Journal of Clinical Nutrition also found that the spike and the subsequent drop in the blood sugar levels after the consumption of simple and refined carbohydrates activated the brain’s addiction and reward centers. The study claimed that the drop in blood sugar levels not just triggered hunger, but made the idea of eating very pleasurable and rewarding. At the same time, complex carbohydrates can actually be good for your mood. Complex carbohydrates can help in the production of serotonin. When taken with protein-rich foods, complex carbs increase the tryptophan content in the brain. Tryptophan is then converted into serotonin. Serotonin is the chemical that is required for mood balance. In fact, lack of serotonin can cause depression. Additionally, carbohydrates can have an impact on memory. 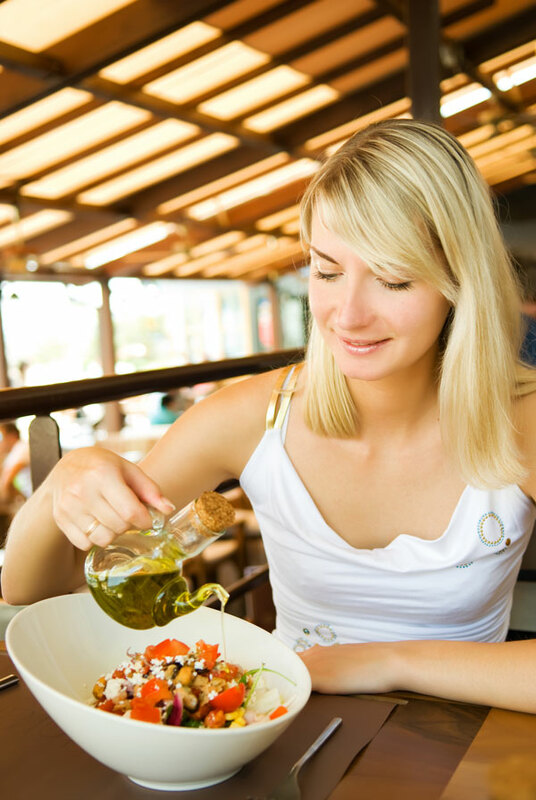 A Tufts University study found that women who were on a no-carb diet for a week, performed poorly when tested for spatial memory, visual attention and cognitive skills. Many marathon runners believe in having high-carb diets. And they have the backing of science. Carbohydrates produce glucose and some of the glucose gets stored as glycogen in the liver and muscles. Glycogen acts as a long-term energy storage; and this energy can be used whenever needed, for instance during a marathon. In fact, carbs before, during and after strenuous exercise are beneficial. Carbs before exercise help build up your glycogen reserves and keep you going for longer. Carbs during the workout session will give you ready to burn glucose, in effect keeping you energized the entire time. Carbs after a workout will replenish the glycogen reserves that were depleted during exercise. Of course, it goes without saying that the carbs that should be consumed should be unprocessed, unrefined and preferably complex. Carbohydrates act as the framework in the body and contribute to the cellular structure. Heparin, which is a carbohydrate (polysaccharide) functions as an anticoagulant and helps in preventing intravascular clotting. Carbs act as antigens. Several antigens are glycoprotein that contains oligosaccharides and gives the blood its immunological properties. Several hormones in the body such as LH (Leutinizing Hormone) and FSH (Follicular Stimulating Hormone) are glycoprotein that helps in reproduction. Carbohydrates form an integral part of genetic material such as the RNA and DNA in the form of ribose and deoxyribose sugars. 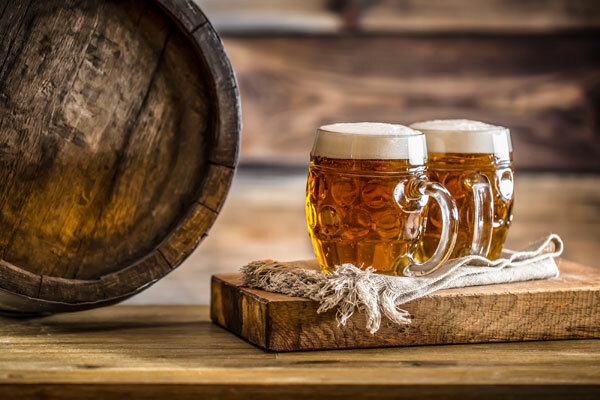 Carbs act as raw materials in several industries such as papers, textiles, breweries, lacquers, etc. From the instant food enters our system, it is broken down to be used by the body and the process of metabolism begins. A chain of chemical reactions takes place that transforms the food into elements that are used by the body for its basic processes. All three macronutrients – carbohydrates, proteins and fats are found abundantly in our diet. Carbs and fats are the primary sources of energy. All starches and sugars are broken down into small units of sugar, like glucose, fructose and galactose, in the body. The small intestine then absorbs these sugar units. Once in the bloodstream, the sugar is transported to the liver. In the liver, all different sugar units get converted to glucose. The bloodstream then transports these glucose molecules, along with insulin. 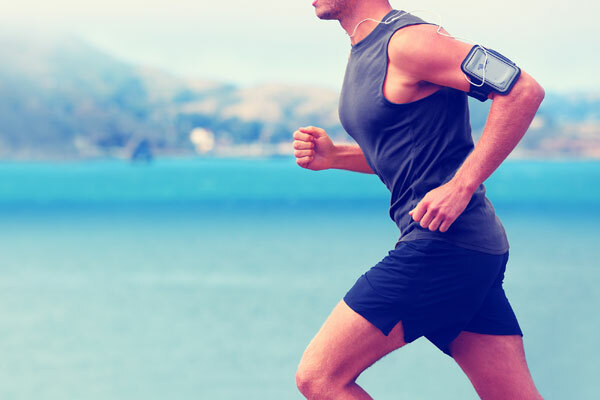 The glucose is converted to energy for all physical activity as well as biological functions. If all the glucose that has been produced is not used immediately, the body can reserve about 2,000 calories of it in the form of glycogen in the skeletal muscles and the liver. Anything more than that gets stored as fat. Fiber, however is treated differently by the body. Fiber is not converted into simple sugars and absorbed in the small intestine to be converted to glucose in the liver. In fact, fibers reach the large intestine and are converted to carbon dioxide, hydrogen and fatty acids. Based on their chemical structure, carbohydrates can be categorized as simple carbohydrates, complex carbohydrates and complex fibrous carbohydrates. 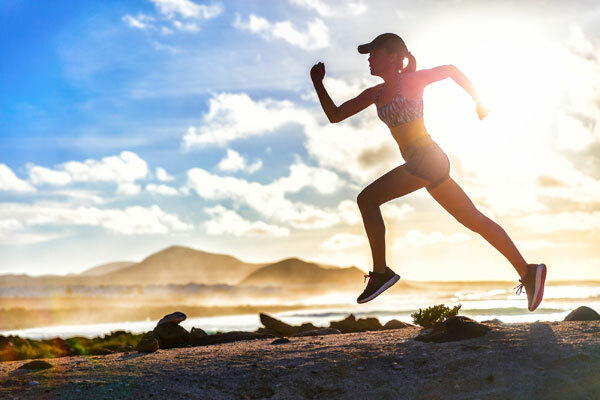 While simple carbohydrates are easy-to-digest, quick energy releasers, complex carbohydrates are broken down slowly and they release energy at a more sustained rate. Another way to classify carbohydrates is to categorize them as sugar, starch or fiber. Simple starchy carbohydrates have a molecular structure that is very simple and have just one or two sugars and can be digested and absorbed by the body very easily. Glucose is the simplest form of carbohydrate. Refined and processed sugars, soft drinks, colas, syrups, candies etc. are all examples of simple carbohydrates. These food items do not have any nutritional value. They get digested very easily and release a quick burst of energy. However, since they are so easy to digest, they can also cause spikes in the blood sugar levels. They are called “empty calories” and are often guilty of causing unwanted weight gain. Simple carbohydrates, considered bad carbs, are also linked to an increased risk of type-2 diabetes as well as heart disease. However, not all simple carbohydrates can be considered “unhealthy”. Simple carbs that naturally occur in milk and fruits are very healthy. 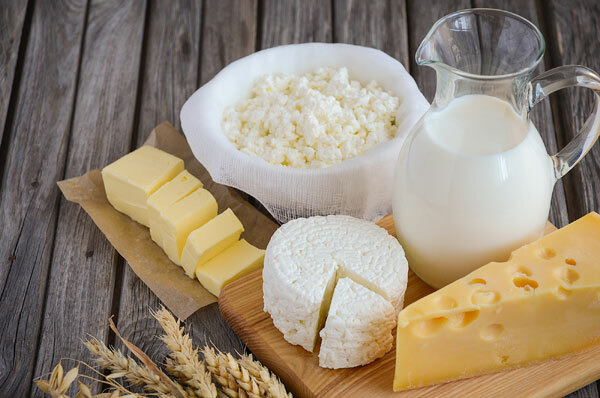 Dairy products such as low-fat or fat-free milk, yogurt and cottage cheese are great for health and are also wonderful sources of calcium. And though fruits and fruit juices are nutrient dense and rich in vitamins and minerals, they should be consumed in moderation. In fact, if you are trying to lose weight, then veggies are a far superior carb-source. Carbohydrates with three or more sugars that form long, complex chains are called complex carbohydrates or polysaccharides. When compared to simple carbohydrates, complex carbs take longer to digest and release energy. All starchy foods including potatoes, corn, whole grains, beans, cereals, etc. come under this category. They are considered good carbohydrates, as not only are they digested slowly; they are also loaded with other nutrients. It is better to stick to unrefined complex carbs as they are healthier. They contain the “whole” grain which includes the germ as well as the bran. They contain more fiber and help to keep you feeling full for longer. Examples of unrefined complex carbs are wholemeal bread, porridge oats, whole wheat pasta, etc. Complex fibrous carbohydrates are fantastic resources of minerals, vitamins, phytochemicals and other valuable nutrients. They are mainly green vegetables and are full of fiber. Fiber is essentially the portion of the plant material that is not easily digestible and hence it passes through the digestive system without being absorbed. Fiber-rich food is wonderful for cleansing the colon and keeps the digestive system functioning efficiently. The great news is that these fibrous carbs are low-calorie and are wonderful food for weight loss. Carbohydrates are also known as saccharides and are usually sugars and starches. Saccharides are made of two compounds i.e. aldehydes (they are double-bond carbon and oxygen atoms, plus 1 hydrogen atom) and ketones (double-bond carbon and oxygen atoms, plus 2 carbon atoms). Monosaccharides are the smallest unit of sugar. Examples of monosaccharides are glucose, fructose and galactose. Glucose is the prime resource of energy for the cell and is also known as blood sugar. 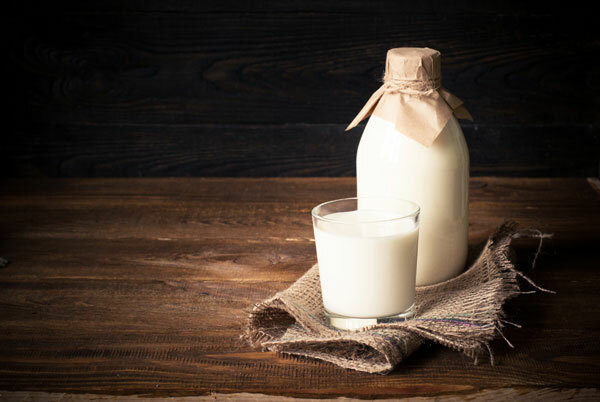 Galactose is found mainly in dairy products and milk while fructose is mostly found in fruits and vegetables. When the monosaccharides combine together, they form linked groups that are bonded together and are known as polysaccharides. Sucrose, maltose and lactose are examples of disaccharides. Sucrose is essentially found in table sugar. Sucrose is formed due to the process of photosynthesis when plants absorb sunlight and the chlorophyll present reacts with the other plant compounds. If a glucose molecule bonds with a molecule of fructose, the resultant molecule formed is a sucrose molecule. And if a glucose molecule combines with a galactose molecule, lactose is formed, which is found in milk. When a chain of two or more monosaccharides is combined, then polysaccharides are formed. The resultant chain may be unbranched with molecules in a straight line or branched where the molecules look like a tree branch with twigs. Polysaccharide molecule chains may comprise hundreds or thousands of monosaccharide molecule chains. Polysaccharides function as food storage units in animals and plants. When required, the polysaccharides are hydrolyzed and the sugar is released which is used by living cells for biosynthetic activity and for energy production. Starch and glycogen are the two main storage polysaccharides. Polysaccharides are also the main constituents of the strong outer skeleton of insects and are present in the structure of the cell wall in plants. Glycogen is a polysaccharide that is mainly stored in the muscles and liver in animals and human beings. It is also popularly known as animal starch. Starches are essentially polymers of glucose that are made of amylopectin and amylose. They are not soluble in water and are digested by both animals and humans with the aid of the enzyme amylase. Potatoes, wheat and rice are rich in starch. There are many varieties of starches that are digested at different rates. Some starches are digested very slowly and help to keep you full and provide long-term energy. Other starches are digested rapidly by the body and can result in spikes in blood sugar levels. There is a third variety of starch i.e. resistant starch. This is not digested; instead, it ferments in the large intestine. Many foods contain all the three kinds of starches. Starches are usually kept away from the diet as they are considered unhealthy. However, this is not true. 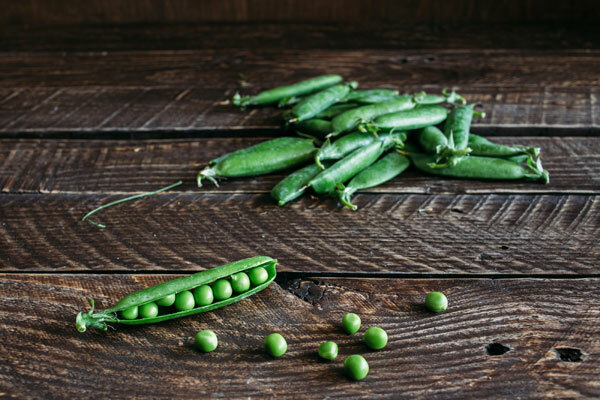 Many foods that are rich in starch such as corn, beans, peas, grains and potatoes are rich in vitamins and minerals and are sometimes good sources of fiber and protein too. The idea is to eliminate refined grains from the diet and turn to whole grains for their beneficial fiber. Cellulose is a homopolysaccharide which is a structural element of the cell wall in all plants and some fungi. Cellulose is the most abundant organic material that is found in the biosphere and comprises 50 percent of the carbon found in plants. Wood, paper and cotton are mostly made up of cellulose. A bulk of the food humans consume is made up of cellulose. However, cellulose is not digested by the amylase present in the digestive system. Cellulose is the roughage that keeps our digestive system fit and functioning efficiently. Oligosaccharides are the lesser known group of saccharides. They are usually carbs that have short chains. Oligosaccharides cannot be digested by the digestive enzymes and are fermented in the digestive system by the gut bacteria instead. Examples of oligosaccharides are inulin or raffinose. 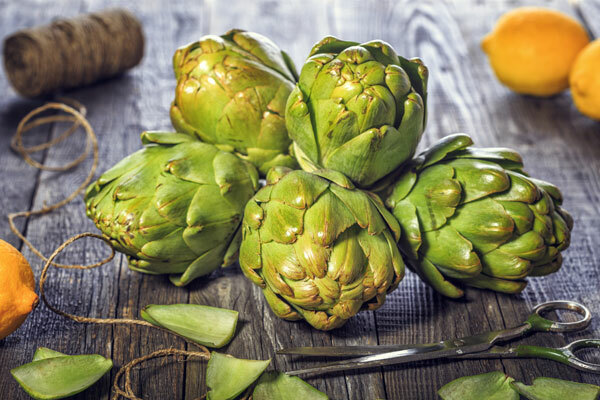 Foods rich in oligosaccharides are legumes, onion, artichoke, asparagus, fennel, etc. Carbs are highly controversial foods. While the dietary guidelines recommend that we must get half our daily calorie quota from carbs, others claim that carbs are a cause of many health problems. This puts one into a conundrum of whether carbs are healthy or not. It is very important to understand that carbs are a vital portion of a healthy diet and are the primary source of energy for your body. It is also vital to understand that “not all carbs are created equal” and must not eliminate all carbs from our diet. We often refer to carbs as “good or bad carbs”. Whole or “good” carbs are unprocessed carbs and promote good health. They usually are fiber-rich and are found naturally in foods. Foods such as whole grains, veggies, whole fruits, legumes, lentils and potatoes are all good carbohydrate sources. They also contain a good amount of vitamins, minerals and fiber and are very beneficial for health. Whole carbohydrates help you feel full for longer periods of time by regulating the blood sugar level. Refined or “bad” carbs are essentially processed foods that lack essential nutrients and fiber. 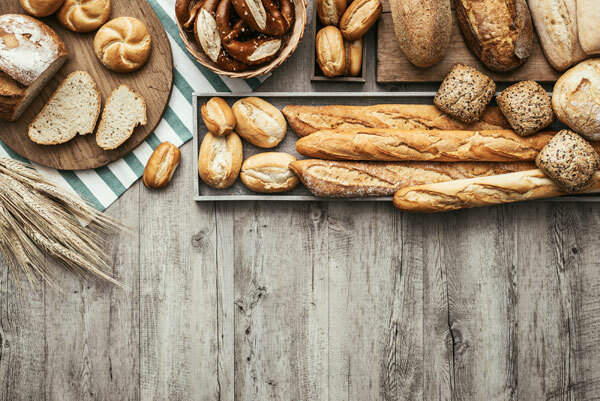 Refined carbs include “not so healthy” foods such as fruit juices, pastries, sugary beverages, sugary foods, white bread, white rice, white, pasta, etc. Eating refined carbs cause spikes in the blood sugar levels that can trigger hunger pangs and craving for foods that are high-carb. These foods do not keep you full for a long time and you end up eating a lot and consuming plenty of calories. Refined carbs also lack in essential nutrients and you consume “empty” calories by eating refined carbs. These foods are usually associated with health ailments such as type-2 diabetes and obesity. Now, we have established that complex carbohydrates, which have three or more sugars and which break down slowly, are good carbohydrates. But what are the other markers of good carbohydrates? First, good carbohydrates should be unprocessed, or minimally processed, and have a high nutritional value. Additionally, they must have a low or moderate calorie count. They should also be low in sodium, cholesterol and saturated fats. In fact, good carbohydrates should have no trans fats at all. They should also be devoid of refined sugars. At the same time, the fiber content should be high. Fresh fruits and vegetables, sweet potatoes, potatoes, whole grains, nuts and seeds contain good carbohydrates along with many other important nutrients. These foods should be part of your healthy diet. Bad carbohydrates are easily identifiable because of their high refined sugar content. Most bad carbohydrates are also highly processed. They are usually loaded with cholesterol, sodium, saturated fats and even the very unhealthy trans fatty acids. Obviously, they are also calorie-laden. At the same time, bad carbohydrates score very poorly in terms of nutrients and fiber. Most of the simple carbohydrates qualify for the bad carb tag. White bread, fizzy drinks, fruit juices, chips, candies, syrup, cakes and cookies are all examples of bad carbs, and they should only be eaten in moderation. Regular and indiscriminate consumption of these nutritionally-deficient carbohydrates will not just make you pack on the pounds; they can also expose you to the risks of heart disease and diabetes. Since carbohydrates are macronutrients, they form a large part of our traditional diet. As per the National Institute of Health, the recommended daily allowance of carbohydrates for adults is nearly 135 grams. The carbohydrate intake should ideally be between 45% and 65% of the total calories consumed. Since 1 gram of carbohydrate is roughly 4 calories, therefore, a 2,000-calories-a-day diet should have at least 225 grams of carbohydrates. However, the carbohydrate content should not exceed 325 grams in a 2,000-calorie diet. People with diabetes should limit their carbohydrate intake. Why is Carbohydrate Deficiency Dangerous? Carbohydrates are an important component of any balanced diet. Though technically the body can function without carbohydrates, their deficiency can cause serious problems. Since carbohydrates are the body’s primary source of energy, not having enough carbs means the body not having sufficient energy. The brain cannot function without an adequate amount of glucose. Dizziness and weakness, mental as well as physical, are signs that the central nervous system is suffering due to a shortage of glucose. Moreover, in the absence of carbs, the body burns proteins for fuel. But proteins are ideally required for making muscles. Using proteins to provide energy also puts stress on the kidneys. Additionally, people on low-carb diets also suffer from fiber shortage. As a result, they are vulnerable to digestive problems and constipation. Begin Your Day with Whole Grains: Make a healthy start to your day by eating hot cereal such as traditional oats or steel cut oats and not instant oatmeal or whole grain, low-sugar cold cereal. 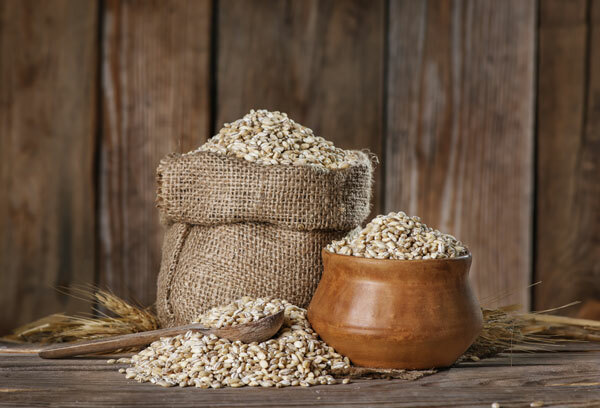 Whole grains are fantastic sources of fiber and other vital nutrients like magnesium, potassium and selenium, whereas refined grains undergo processing that strips away the fiber and the nutrient components of the grains. Always select a cereal that contains less than 8 grams of sugar and at least 4 grams of fiber per serving. For Snacks or Lunch Use Whole Grain Breads: Choose breads that have their main ingredient as whole wheat, whole rye or any other whole grain. Better still choose breads that are 100% whole grain. 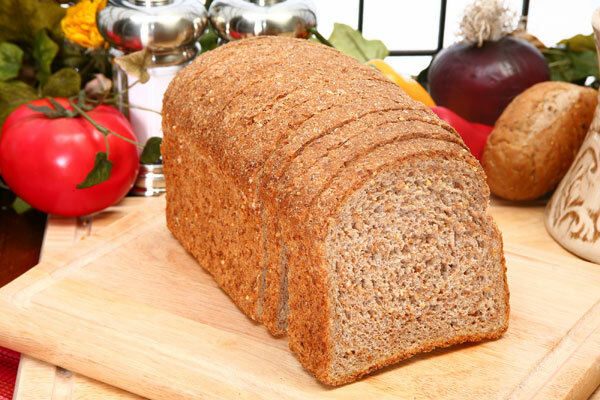 Look at Other Foods Than Bread: Many times, whole wheat bread is also made with flour that is ground very finely and the products have high sodium content. Instead of bread, you can choose a salad made with whole grains such as quinoa or brown rice. Stress on Fiber-Rich Veggies and Fruits: Choose whole fresh, canned and frozen veggies and fruits that do not contain added sugar. These are better options than dried fruits or fruit juices that have more calories due to the concentration of sugar. Also, whole veggies and fruits contain water and fiber that help you feel full longer. Whole Fruit Is a Healthier Option When Compared to Fruit Juice: Choose to consume the whole fruit instead of drinking fruit juice; it is healthier. 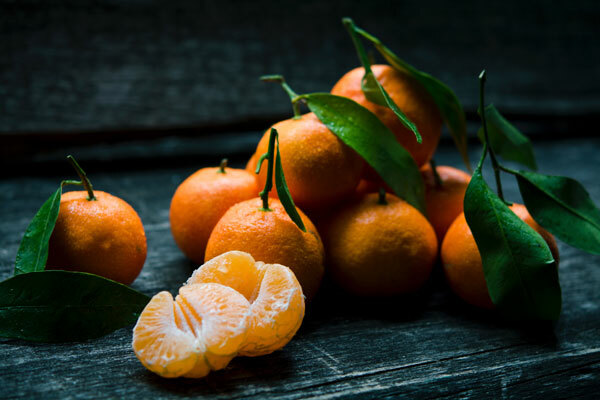 An orange has twice the amount of fiber content and half the sugar as a 12oz glass of orange juice. Choose Low-Fat Dairy: Milk, yogurt, cheese, etc. are great sources of protein, calcium, minerals and vitamins. You can choose low-fat varieties of dairy products to limit the consumption of saturated fat and calories. Avoid dairy products with added sugar. Eat Beans Instead of Potatoes: Instead of eating potatoes, which can cause weight gain, fill up on beans as they are most nutritious and versatile foods. They are low in fat and have no cholesterol and are excellent sources of soluble and insoluble fiber, nutrients and slowly digested carbs. Legumes such as chickpeas and beans are a great source of protein too. Legumes can be used as a healthy substitute for meat. Limit Sugar Intake: In small amounts, sugar is not harmful. However, adding sugar does not provide any health benefit. In fact, too much of sugar intake can lead to many health ailments such as weight gain, poor nutrition and tooth decay. In spite of being a macronutrient, carbohydrates are not considered essential. This is because, if needed, the body can meet its energy requirement by burning proteins and fats. The brain, however, needs glucose. So in the absence of carbohydrates, where does this glucose come from? Well, from proteins. A process called gluconeogenesis can produce glucose from proteins to meet the brain’s needs. However, completely eliminating carbohydrates from the diet is not a very good idea. This is because most food items that are sources of good carbs are rich sources of many other nutrients as well. Also, fiber plays a key role in the general well-being of the body. 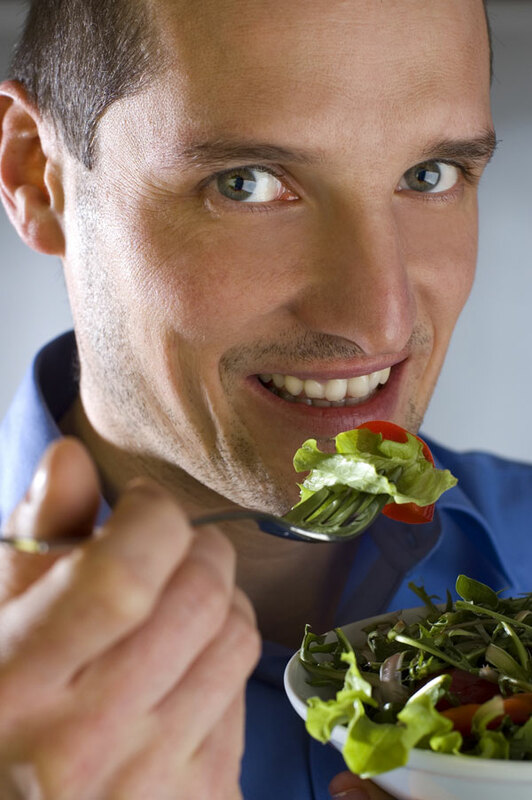 See how happy he is eating green, leafy veggies? That’s because they’re packed with fiber and nutrients! Though carbohydrates have been demonized in recent times, they are not all bad when it comes to weight management. Though simple sugars are big contributors towards obesity and general weight gain, good carbs are important. It has been established that a low-fat diet helps lose more weight than a low-carb diet. Therefore, if you are looking to lose a few pounds, there is no reason for you to completely give up carbs. Instead, you should try giving up more of the saturated fats in your diet. The results will be better. Fresh whole fruits, vegetables, whole grains and nuts are all good for weight watchers. 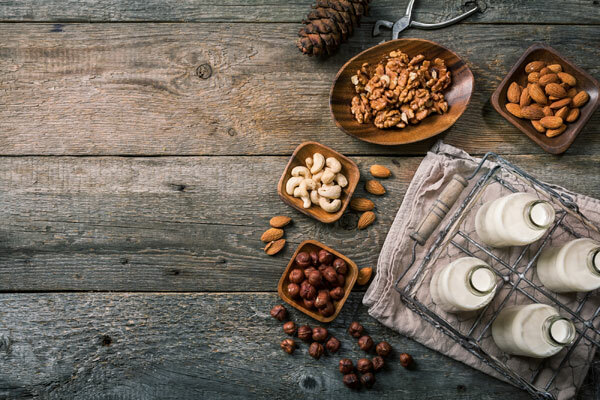 Eat low-fat dairy products and nuts; they’re delicious and nutrient rich! What is Glycemic Index of Carbohydrates? Experts say that the “health value” of any carbohydrate actually depends on its glycemic index (GI). But what is this glycemic index? Glycemic Index is a carbohydrate ranking system on a 0-100 scale based on the extent to which the carbohydrate raises the blood sugar level after consumption. Food items with a high GI are the ones that get digested very fast and release quick bursts of energy. They are often guilty of causing fluctuations in the blood sugar levels. Foods with high GI have been associated with obesity, diabetes, certain cancers and heart disease. Foods with low GI are digested slowly and don’t cause abnormal spikes in the blood sugar levels. Lower the GI, healthier is the food. Low GI foods can also help control hunger and keep weight gain at bay. They are good for people with diabetes as well. 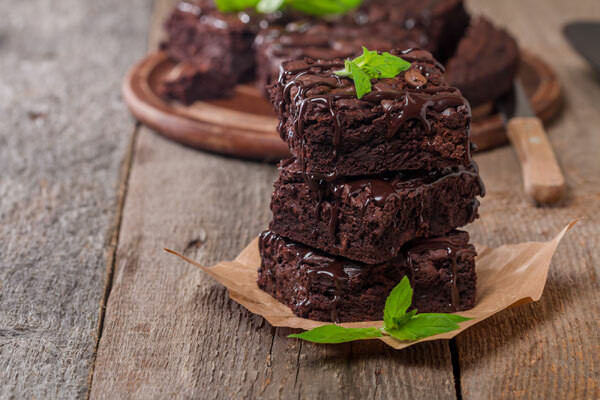 Examples of high GI foods are candies, syrup, white bread, pasta, table sugar, cakes and pastries and foods such as sweet potato, yam, corn, barley, etc. have low GI. When you eat foods that contain carbohydrates, it is broken down into sugar in the digestive system and enters the blood stream. The blood sugar levels begin to rise and the insulin that is produced by the pancreas instructs the cells to absorb the sugar to produce energy or for storage. When the cells absorb the sugar, the blood sugar levels fall. The pancreas begins to manufacture glucagon that instructs the liver to release the stored sugar. This interaction between the insulin and glucagon guarantees that there is a steady blood sugar supply to all the cells in the body and the brain. The way the body metabolizes carbohydrates is crucial in the case of type-2 diabetes. Usually, type-2 diabetes occurs when the body cannot manufacture sufficient insulin or utilize the insulin it produces. Type-2 diabetes develops over the years and starts when the cells and muscles do not respond to insulin. This condition is called “insulin resistance”, where the blood sugar and insulin levels remain quite high for a long time after you have eaten. In the long run, the insulin-producing cells wear out and stop manufacturing insulin. Dietary carbs can be categorized as being digestible or non-digestible. 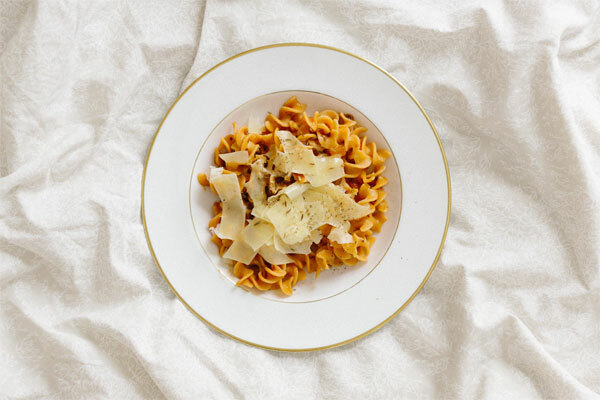 Carbs that can be digested by the enzymes existing in the saliva, intestine and stomach are known as digestible carbs, for example, sucrose, vegetable starch, lactose and human milk oligosaccharides. Vegetables, fruits and cereals contain dietary fiber and some vegetables and processed foods contain fructooligosaccharides like inulin, are indigestible carbs. They are carbohydrates that are not digested by the gut and pass on to the colon, where they are fermented by the bacteria and produce methane and hydrogen gases and short-chain fatty acids or SCFA like butyrate, which are absorbed by the colon. Butyrate is very important for several functions. Not only are indigestible carbs important in the production of butyrate, they also help in reducing the risk of many diseases. By cutting out carbs from your diet, especially processed carbs such as sweets, white bread, pasta, white rice, etc. and substituting these with whole grains and vegetables, you can lose weight. Furthermore, by replacing the carbs with proteins, you can lose more weight as the body needs more energy to burn proteins than to burn carbs. Nevertheless, you mustn’t cut out carbs entirely from your diet. By cutting out an entire food group, your body will crave for that type of food and you end up overeating or eating unhealthy foods. Include complex, healthy carbs to avoid craving for unhealthy carb-rich foods. Most people associate carbs with foods like pasta, bread and rice. However, that is not true. Most plant-based foods and dairy products contain at least some amount of carbs. Most importantly, for a healthy and balanced diet, all types of carbs are important. The idea is to consume healthy carbs i.e. foods that are fiber-rich and low on sugar and eliminate the “not so healthy” i.e. refined carbs from the diet. Many studies have shown that increased whole grain intake can lead to reduced risk of weight gain. However, there is a popular misconception that carbs are “fattening”. In fact, it has been found that low-carbs are more effective when it comes to losing weight rather than low-fat diets in the short run. Usually, people avoid eating potato as it is considered unhealthy. However, this is far from the truth. 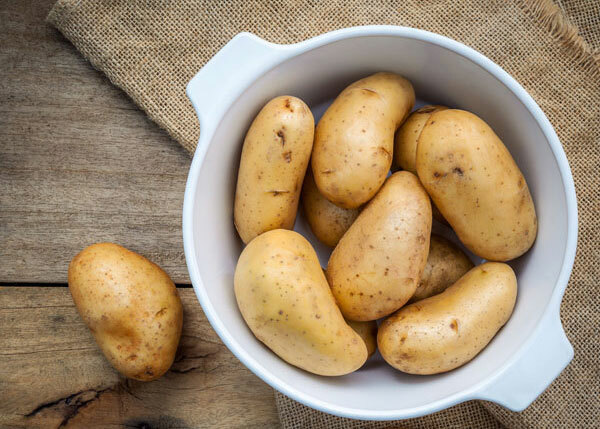 Potato is a wonderful source of vitamin C and potassium and if eaten with the skin, a good source of fiber too. However, it is foods such as white flour and white rice that are considered unhealthy as their fiber and nutrients are stripped away because of processing. 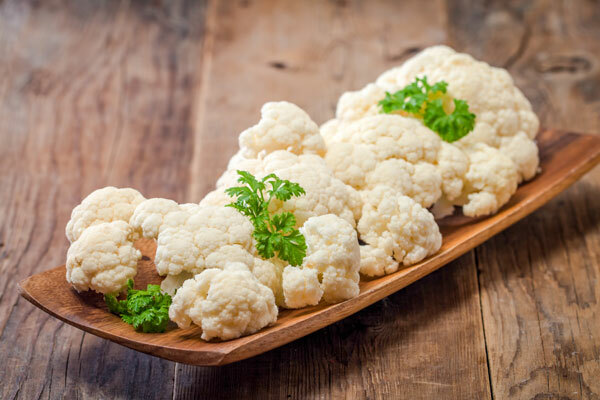 Several “white colored foods” are very nutrient-rich such as cauliflowers, onions, mushrooms, garlic, etc. In the short-term, following a low-carb diet can be beneficial; however, it is not so in the long run. You can follow a healthy diet by eliminating highly processed carbs and including more natural and wholesome carbs. One major misconception is that all sugars are unhealthy while all starches are good. In fact, consuming white bread raises the glucose and insulin levels more than when you consume table sugar. It is a possibility that you can cut carbs completely from your diet but this is not a great idea in the long run. Instead, a better idea would be to completely eliminate all the refined and processed foods from your kitchen and focus on eating healthy carbs and whole grains in moderation. Carbohydrates are macronutrients and are an essential part of your diet. They contain plenty of vital nutrients such as fiber, iron, folic acid, and B vitamins that are needed for the body to function efficiently and remain healthy. Foods like fruit, whole grains and vegetables are full of fiber and help you consume lesser calories while making you feel satiated, and this helps in weight loss. By following a fiber-rich carb diet, you can reduce the risk of type-2 diabetes, cardiovascular disease and keep the digestive system working efficiently. The key is choosing the correct kind of carbs. People feel it is better to eat a candy bar than a slice of watermelon or a carrot as the candy bar has a lower GI value. However, you must not consider the GI value of food in isolation and you should also evaluate the other factors such as nutrients, calories, fiber and the impact of the food on health. The glycemic load of the food may play a more important role in supporting healthy blood sugar levels. A diet with a high glycemic load increases the insulin and blood sugar levels rapidly, while diets with a lower glycemic index may cause moderate changes in the insulin and blood sugar levels. Studies show that foods with a low glycemic load may cause lesser inflammation in the body. The glycemic load can be reduced by reducing your intake of carbs. However, completely eliminating carbs from your diet can be harmful. The idea is to make smarter and healthier carb choices. Consuming foods that are rich in wholesome, complex carbs are healthier than foods containing simple, refined carbs. In fact, 25 percent of food that you consume should constitute carbs from “healthy” sources like whole grains, fruits and veggies. Choosing foods such as beans and legumes that are low in calories and rich in protein and fiber is healthy. Eat too many carbs and you could be plagued by several problems such as blood sugar, weight gain and many chronic diseases and too little can lead to hormonal imbalance, poor athletic performance and resistance to weight loss. While there are two sides of the coin, both of which show up carbs in a bad way, the “right” carbs exist. You can be healthy, naturally lean and live long by consuming the right quantity of this important macronutrient. So what is the right amount of carbs? This is a very important question to be answered. There are low-carb diets and there are high-carb diets, the idea of going a particular way, is to burn fat and lose weight. Low-carb as well as high-carb diets are hyped as ways to attain weight loss, but the question is which one is better? Let us look at the pros and cons of both and you can then decide which is right for you. Low carbohydrate diets rest on the premise of low-calorie consumption which leads to weight loss. This is a good diet as long as you maintain a minimum calorie intake of approximately 1,700 calories daily for men and 1,300 daily for women. Your diet should also contain adequate fiber or you should take a fiber supplement. The idea of a low-carb diet is to consume small quantities of carbs that have a low glycemic index along with fat and protein. This allows you to shed fat while preventing your body from losing any muscle and lean body mass. Studies show that diets that are high in protein and low in carbohydrates can help to lower glucose and triglyceride levels. The main disadvantage of low-carb diets is that they lack in micronutrients that are essential for the body. However, this problem can be solved by planning your diet carefully and including dietary supplements. The Atkins Diet and the Zone Diet are two very popular low-carb diets. High-carb diets are usually associated with a higher level of vitamin and nutrient intake such as vitamins A, C, folate, calcium, iron, carotene and magnesium, but a lower consumption of vitamin B12, zinc and sodium. In case you decide to follow a high-carb diet, you should supplement these so that you do not become deficient in these nutrients. Studies show that people following a high-carb diet are more likely to have a low Body Mass Index (BMI). People consume foods that have high water content and are high in fiber and eat more of vegetables, fruits, grains and low-fat dairy and in general consume less saturated and trans fats. The main disadvantage of high-carb diets is that people don’t pay much attention to the type of carbs they are eating and this can easily result in weight gain. You can easily overeat carbs and eliminate healthy fats from your diet, which may be harmful to your health in the long run. It is essential to plan your meals properly before starting a high-carb diet. One is still caught up in the debate of whether to go low-carb or high-carb. Whichever you decide to choose, the idea is to include healthy and wholesome foods from all food groups into your diet plan. The superiority and suitability of the diet solely depends on your body, your food choices and your lifestyle. You can lose weight and get into shape when you find a diet plan that is best for you and you can follow for the rest of your life. Choose a healthy and balanced diet replete in carbohydrates, proteins, veggies, fruits and healthy fats. Most importantly, do not forget to add an exercise routine to your diet plan to keep you healthy and fit. Not all carbohydrates are created equal. While some like table sugar, syrup, white bread, processed potato chips, refined flour pasta etc. provide instant energy because of their high glycemic index, they are not ideal for consumption. They have low nutritional value and usually, fail to keep you satiated for long. As a result, you are forced to eat more often, and in the long run, gain unnecessary weight. On the other hand, complex carbohydrates like sweet potatoes, corn, whole grains, nuts, seeds etc. are very nutritious. They provide starch, fiber and other micronutrients required for a healthy body. 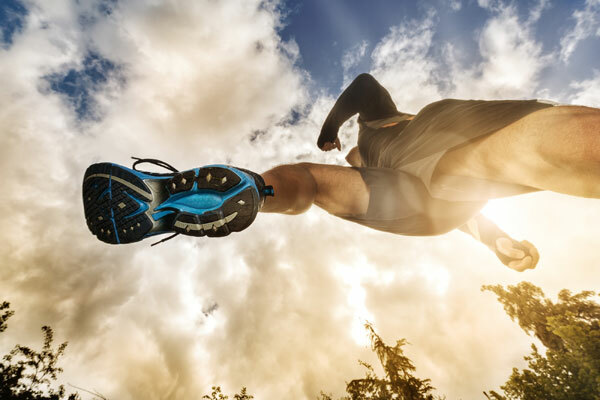 Being the body’s favored fuel source, they prevent proteins, which are required for muscles and biological functions, from being broken down for energy. Unlike simple carbs, complex carbohydrates also form the bulk of our diets. So in the case of carbs, keeping it simple is not the best idea; complex is the way to go! 3 Why Are Carbohydrates Necessary? 4 How Does the Body Use Carbohydrates? 10 What is the Daily Carbohydrate Requirement? 11 Why is Carbohydrate Deficiency Dangerous? 15 What is Glycemic Index of Carbohydrates? 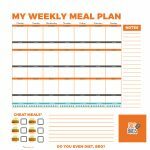 Get the DietBros Weekly Meal Planner FREE. Subscribe now!